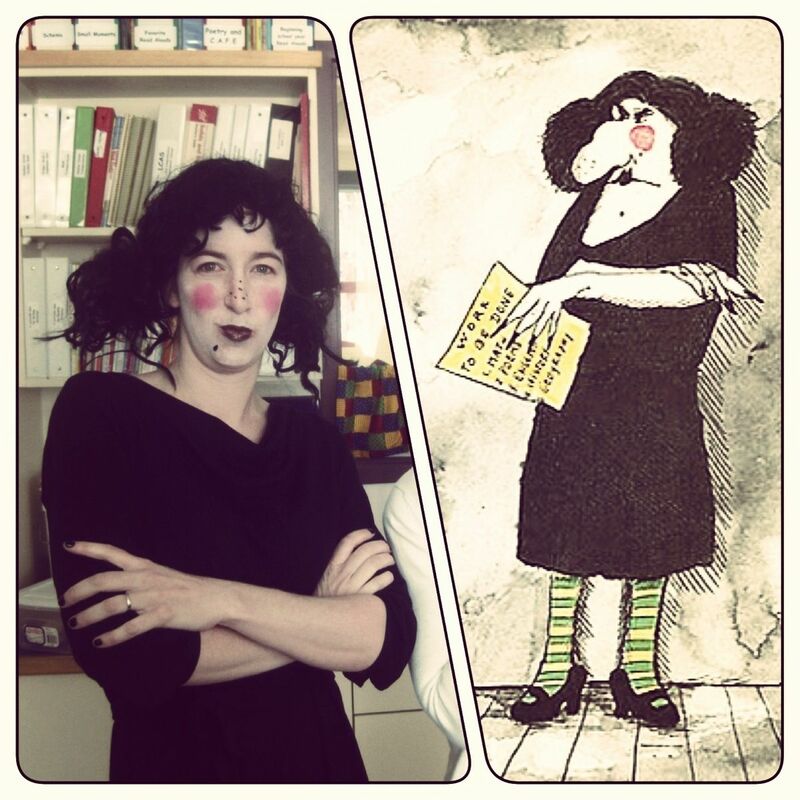 Dress up as your favorite book character and have a Happy Bookish Halloween! How about one of these book character costume ideas from the favorite children’s picture and chapter books? I’ve linked to many costumes you can buy and some you can make. Hopefully, this list will inspire you to find a fun book costume that works for you! What other costume ideas do you have? Hi there it’s me, I am also visiting this web site regularly, this web page is truly nice and the visitors are actually sharing nice thoughts. Excellent website. Plenty of useful information here. I’m sending it to a few pals ans also sharing in delicious. And of course, thank you for your effort! These are all wonderful ideas! I have been planning to do something fun for my daughter. These will be helpful. Olivia the Pig – my daughter dressed up today for their character parade and won best look alike for the 2nd grade. Very different! My kids dressed up as Dr. Seuss characters all 6 of them. Lion Ten apples up on top, cindy lou who, sam I am, Daisy-Head Mayzie, A Sneetch, Red Fish. I wish I could send a picture but I do not know how! I remember making a spider costume that was used for several Halloweens by both of my sons, Devin and Bernie … my old black leotard from Modern Dance, a cap/mask with the eight eyes, and extra legs sewn to the sides, with monofilament fishing line attached at the elbows and running down through the extra legs at the “knees,” so when the boys raised their arms, the extra legs would follow. Well, back in the day when I did substitute teaching, the school was having a book character parade around Halloween … so, yes, I wore that spider costume to represent Charlotte from Charlotte’s web. My class and the teachers love my enthusiasm and willingness to play the part … I’ve always been a kid at heart, who loves to read! These are AWESOME suggestions! You’re all so well read. Impressive. Thanks everyone! How about The Stinky Cheese Man? I thought of a few others: Percy Jackson (Olympians series), Greg Heffley from Diary of a Wimpy Kid, and Charlie Bone (Charlie Bone series).